SENA BTerm is a VT-100 Terminal Emulator running on Android Smart phones. This enables Android Smart Phones to connect to SENA Parani Products, like SD1000 serial Bluetooth adapter and SD1000U USB Bluetooth converter, and exchange data with them using the Bluetooth Serial Port Profile (SPP). Connect to your serial devices using your smart phone! This Android App can connect to the remote device as a Bluetooth master or Bluetooth Slave. 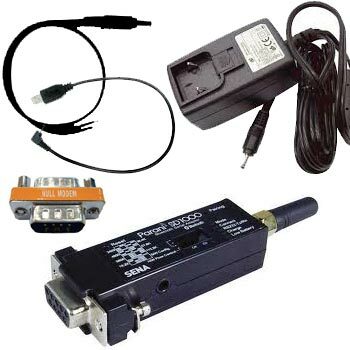 SENA BTerm manages and controls the SENA Parani products as a local device. BTerm is a VT-100/ANSI Terminal Emulator. It supports Serial Port Profile (SPP). It can be set as Bluetooth Master or Slave. It configures SENA Parani devices through the Bluetooth connection. 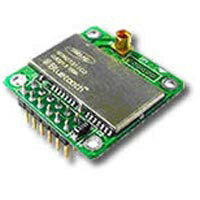 It can manage the Bluetooth device of the local machine. 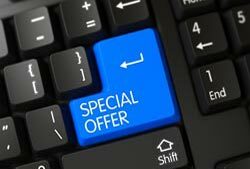 It can easily send special keys. It displays sent and received data in the Terminal pane. It displays log data in HEX mode. 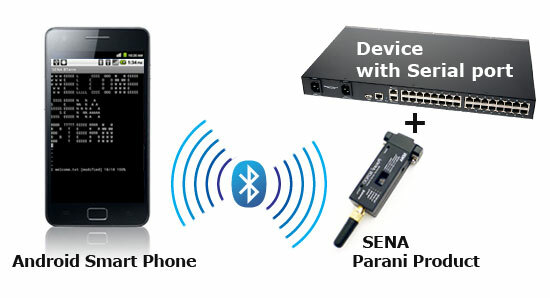 The following SENA Parani Bluetooth Products support Serial Port Profile (SPP) and can be used with BTerm. Go to 'Market' on your Android device. Enter 'SENA BTerm' into the search field. Once you've found the 'SENA BTerm' app, touch to install. 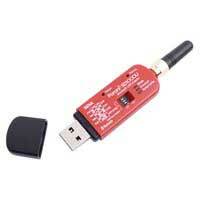 Now your phone can communicate to any device or product with a serial port.